The Rock Monitor, (Afrikaans name Veldlikkewaan and Zulu name uXamu) also known as a Rock Leguaan, is found mainly in the North and North West. 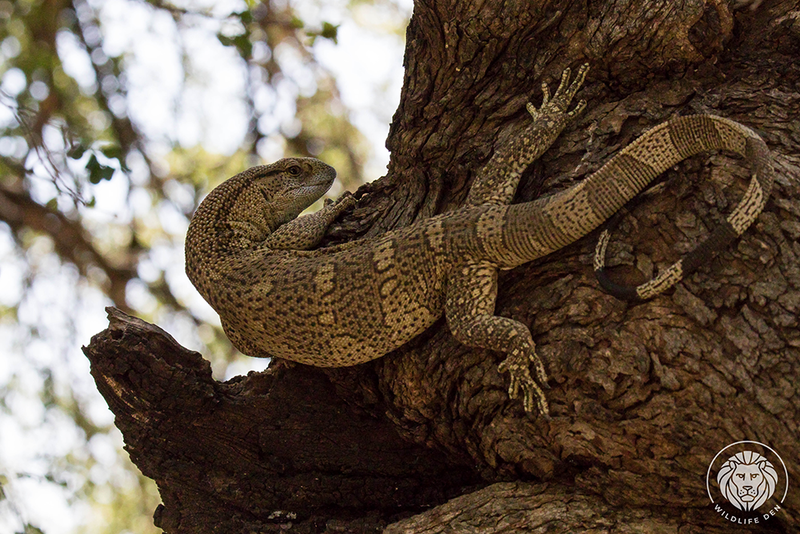 They are the second largest lizard in South Africa and can grow to a length of 1.5 meters, they can climb vertically up rocks and trees. The Rock Monitor is definitely not a picky eater and will devour almost anything from insects, reptiles, frogs, small mammals up to the size of domestic cats, tortoises, birds and eggs, carrion and rubbish. They lay a clutch of between 10 and 40 eggs in a hole dug by the female in a carefully selected site. She covers the hole with soil and the incubation period is about 10 months. 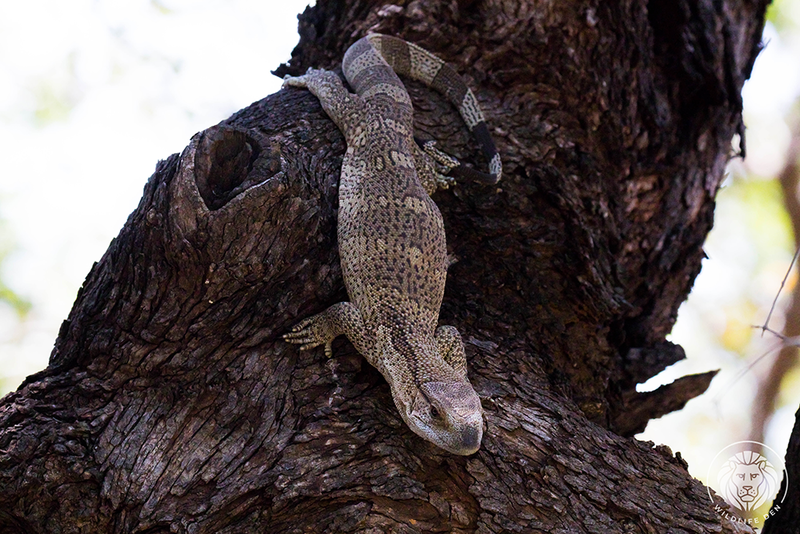 We observed this one in Letaba in the Kruger National Park.